Though less common in the marketplace than life insurance policies, some people are insured under what are called Accidental Death policies. These policies provide for a death benefit only under circumstances where the insured dies as a result of a covered accident. Accidental Death policies contain broad exclusionary clauses for when an insured has a pre-existing medical condition that contributes even slightly to the cause of death. The Law Offices of Eric Dinnocenzo has successfully represented many claimants in New York and New Jersey accidental death benefit cases. As is probably evident, the most common reasons that insurance companies deny these claims is that: (1) the insured did not die as a result of an “accident”; and (2) the medical cause of death was natural in terms of its cause. This first basis for a denial is legal in nature and the second basis is medical in nature. Did the Insured Die from an Accident? Oftentimes, accidental death policies do not provide a specific definition of what qualifies as an “accident.” Yet insurance companies will nevertheless broadly interpret the term in order to deny claims on the basis that an accident was not the cause of death. When insurance companies take this position, it can be defeated in court because the legal definition of an accident is not as narrow as insurance companies would like to believe. While the definition of an accident includes an unexpected event, such as a car crash or a slip-and-fall, it can also include an intentional act that has unexpected consequences. For instance, our firm successfully argued in state court that a man who died of a cardiac arrest, brought on by low oxygen levels when he traveled to the 14,000 foot peak of a Colorado mountain, suffered an accidental death. Although the man unquestionably intended to ascend the mountain, he did not reasonably expect it would lead to his death. Of course, too, insurance companies will assert that a death was not accidental by exploiting the surrounding circumstances in their own favor. In doing so, they often take advantage of the fact that the insured is no longer available to testify about what happened. For instance, a person may have fallen out of bed and died after being prone on the floor for days; the insurance company may instead claim, without any support, that the man sat down on the floor and then had a natural death. In these cases, it is important to have a lawyer who will closely examine the facts and put together the necessary proof to support your case. Was it an Accidental or Natural Death? Accidental death policies contain broad exclusionary clauses that allow for the denial of a claim if the insured’s death is caused, even in part, by a pre-existing medical condition. These clauses will often contain words to the effect of: that the death was caused by an accident and directly and independently of all other causes; or that no death benefit will be paid where the death was caused by any disease or bodily or mental infirmity. It is important to have a New York accidental death lawyer on your side who understands how accidental death policies are written, and also understands the important interplay between the law and medicine when it comes to litigating these types of cases. After an insured dies and a claim is made, the insurance company begins the process of seeing if there is a way to deny the claim. It will scour the medical records to see if there was a pre-existing condition with even a slight link to the cause of death, and if so, will frequently deny the claim. The law, however, has been evolving in this area, and some courts have held that a pre-existing condition should only warrant a claim denial if it was a substantial cause of death. The rationale is that, otherwise, an insured with even a slight medical condition that was asymptomatic and medically-controlled would not be covered under a policy he may have had for years. These more progressive courts have taken a practical approach to examine whether, if the accident had never occurred, the insured likely would have lived for a longer period of time. Even when there are no pre-existing conditions, insurance companies will misinterpret the ultimate cause of death in order to deny the claim. For example, a person may be in a car accident and ultimately die of a heart attack or cardiac arrest. Obviously, the accident was the cause of death, and it was not a natural death such as a person who sits down in a chair to watch television and has a cardiac event. 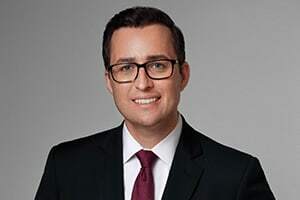 As a New Jersey and New York accidental death insurance attorney, Eric Dinnocenzo knows how to prosecute accidental death cases in order to get the recovery his clients deserve. Please contact New Jersey and New York Accidental Death lawyer Eric Dinnocenzo at (212) 933-1675 for a free consultation to discuss if you have a claim.